The CD280 Carrier Demodulator is a complete multi channel system in a small package which houses a plug-in power supply and 4 carrier demodulator circuit boards. 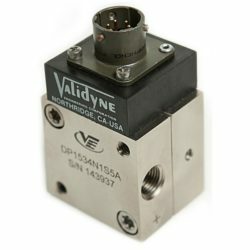 The power supply provides regulated 5 Vac 5 kHz carrier power for Variable Reluctance and LVDT transducers , and the carrier demodulators demodulate and amplify the input signals to a ±10 Vdc full-scale output. Zero and span adjustments are available for each channel. 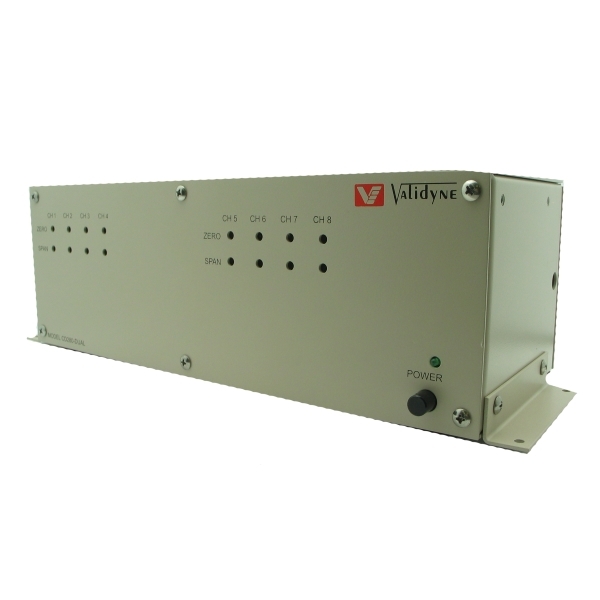 The system operates from 115 Vac, 50 to 400 Hz, line power. 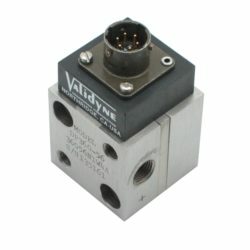 The low impedance sine wave excitation allows operation with transducers located over a thousand feet from the CD280. The high level DC output can be fed to remote indicators and recorders. The excitation supply and all outputs are protected from short circuits. Input/output connections are easily made through the screw terminals on the rear of the case. Up to four channels are housed in each CD280 enclosure. 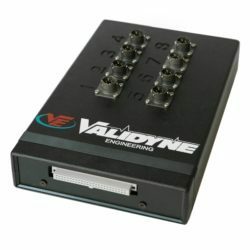 For five to eight channels, two enclosures are used with all channels being powered by a common power supply, thus eliminating possible inter-channel modulation, or crosstalk effects. The modular design permits incremental additions to the basic four channel configuration as requirements dictate, up to a total of eight channels; by adding a second housing and plugin demodulator boards. The CD280-dual is an eight channel system consisting of two 4 channel units with an integral panel.